If you always thought high tea meant the ‘Western way’ – cakes, pies and bread, how about a Chinese high tea of handcrafted dim sum and oriental desserts? Chinese high teas on a lazy Sunday afternoons for you to catch up with family and friends always sound like a brilliant idea. You do get to spend quality time to chat up rather than rush through a hurried meal, and also appreciate fine Chinese tea which takes time to brew and be served. ‘Gongfu Cha’ is indeed a dying cultural art-form in Singapore. I know some are surprised that Si Chuan Dou Hua serves dim sum, as they have always been known for their authentic ‘Chuan dishes’ and smooth tau hway with wolfberries. 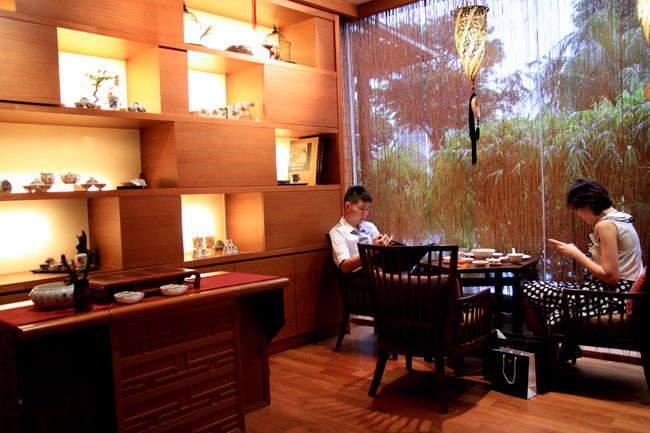 Well, Tian Fu Tea Room is the first Chinese tea room concept within a restaurant in Singapore. Its Reunion Imperial High Tea (at $30++ per person) includes eight varieties of dim sum such as Cantonese style pan fried carrot cake in XO Sauce and Sichuan inspired sliced pork in garlic and chilli sauce. 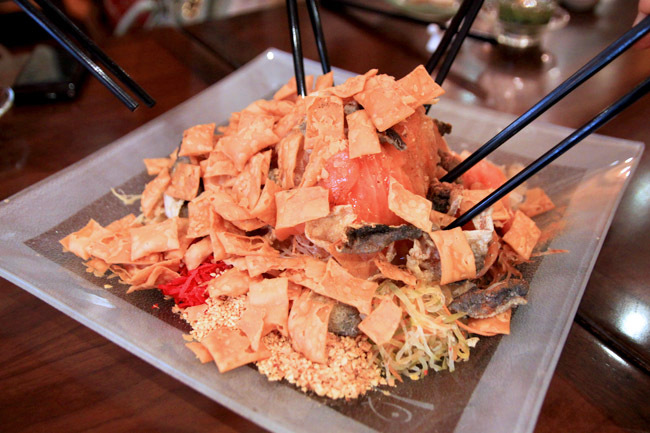 Oh, and yusheng too! 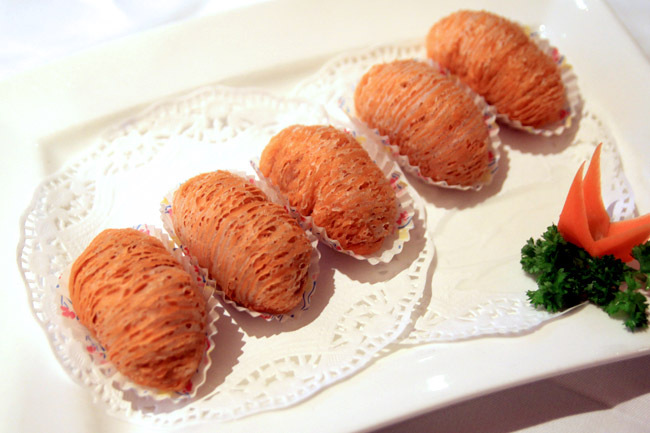 Its Steam Crystal Dumpling with Minced Prawn and Carrot, also artistically designed, has a delightful filling of carrot and coriander which adds a light and crunchy bite. My favourite dim sum of the eight was the Deep Fried BBQ Meat Puff, so crisp-fully fried. Do eat it while its warm but be careful its roasted pork filling will ooze out like textured delicious juice. This special high tea starts from 10 Feb till 24 Feb, do note that every branch will have a different selection and some of these exquisite dim sum offered are only available in the Reunion Imperial High Tea set. Si Chuan Dou Hua Reunion Imperial High Tea Giveaway! Si Chuan Dou Hua’s Tian Fu Tea Room will be giving away 8 sets of Reunion Imperial High Tea (each worth $30) to 8 blessed Daniel’s Food Diary readers to enjoy during this Chinese New Year. Huat, Huat, Huat! definitely har gao! Love the crunchy texture of prawns and the juice bursting out of the dumpling on first bite! I have shared and retweeted your blog post. Hope to win this high tea set and usher into the new year with prosperity and blessings! Yummiest to e max. Cantonese style pan fried carrot cake in XO Sauce and Sichuan inspired sliced pork in garlic and chilli sauce! :)… slight crisp n inspiring sauce that can "make" u happy.. LOL.. Simply love food! ;)…..
Yummiest to e max. Cantonese style pan fried carrot cake in XO Sauce and Sichuan inspired sliced pork in garlic and chilli sauce! :)… slight crisp n inspiring sauce that can “make” u happy.. LOL.. Simply love food! ;)…..
char siew boa! To me that’s the yardstick to measure how good the tim-sum place is. I forgot to add my favorite Dim Sum is Cantonese style pan fried carrot cake. At it’s core, the turnip cake is filled with detectable radish inside I also like the turnip cake pan fried to golden brown yet still soft in the middle. As I bite into it, I can feel the crunchiness of the smell the aroma from the flavoring ingredients from as shiitake mushroom, dried shrimp, and meat…..Yummy! you got me at the first photo! i can NEVER say no to rice dumplings! But for real dim sum, it has to be the Cantonese style pan fried carrot cake in XO Sauce. The good ones should be crispy on the outside but super soft and warm inside! My favourite dimsum would be the har gao!! I love prawns and fresh juicy prawns make the har gao so much more delicious on its own! My favourite dim sum since forever has always been the Har Gow. I love how the sweet and springy prawn bursts out of the chewy skin. Yum! It is a must-have at every dimsum meal. har gao! cos it’s so hard to find the perfect balance of thin yet resilient skin + fresh crunchy prawns. My favourite dim sum is Char Siew Pao! i love the fragrant meat filling wrapped in a soft skin pao! Cantonese style pan fried carrot cake in XO Sauce. I like the XO sauce as it taste different from others, very unique taste. Har Gao! To me its the the indicator of how gd the resturant is. The simpler the food, the harder is it to do it well! my favourite is zha leong (chee cheong fun wrap with you tiao)! it's super crispy inside and soft inside, together with the savoury sauce, it's simply delish! my favourite is zha leong (chee cheong fun wrap with you tiao)! it’s super crispy inside and soft outside, together with the savoury sauce, it’s simply delish! My fav dim sum would be Steamed Prawn Dumpling! I enjoy the fresh prawn dancing in my mouth! Delicious! benoh28@gmail.com. My favourite dim sum is Chee Cheong Fan as I love the smooth silky feel of it and it can have fillings like you tiao, char siew or roast duck meat so that I can enjoy the best of both in one meal. time for a much needed yumcha session. thanks. Deep Fried BBQ Meat Puff because the roasted pork filling tastes yummy. Steamed Prawn Dumpling, the prawn inside is very fresh and is so delicious. Just cannot stop eating it. My favourite would be char siew bao & har gao!! My favourite dim sum are siew mian & lotus leaf rice. The dishes shown looks delicious and yummy. cheers! I would like to have a chance to try this dish Steamed Prawn Dumpling with Gold Fold, as the reviews on your blog makes me mouth watering just by looking at the picture! 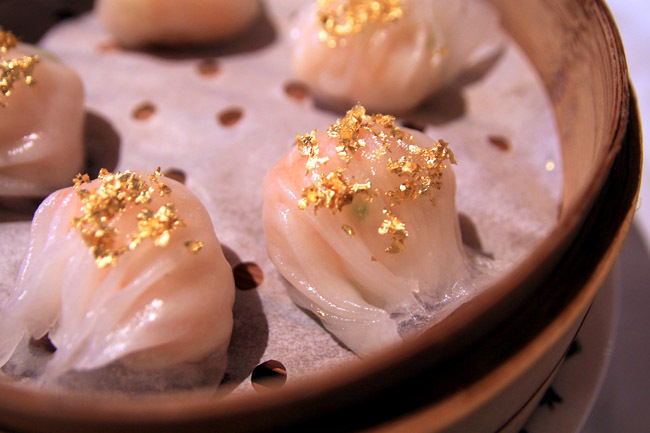 I would like to try Steamed Prawn Dumpling with Gold Fold as it looks appetizing to me the most! I would like to have a chance to try it! My favourite dim sum would be steam prawn dumpling a.k.a. ” Har Gao”! as i love to eat prawns! I love the tasty Steamed Fresh Prawn Dumpling with Celery, the juicy prawns and the celery that gives it a subtle crunch. My all time favorite is siew mai. I love it, probably it’s because of the yummy soft skin and juicy meat, that makes me crave for more. My favourite is none other than Har Gow! Fresh, succulent prawns wappred in paper thin skin is addictive and I’ll always pop at least 3, one after another! Definitely Shao Mai for me. Best dim sum of all! My favourite is the Deep Fried BBQ Meat Puff. I love it when I am tongue tied as the warm roasted pork filling oozes out. Has been loving cha siu bao cos’ of the sweet bbq pork and soft bun. Have been loving cha siu bao cos’ of the sweet bbq pork and soft bun. My favourite dim sum is Wu Kok (Deep Fried Yam will Char Siew filling) (which I think in this case it’s the Deep Fried BBQ Meat Puff?). Anyhow, it’s so difficult to find a good one nowadays! A must order food for me, Steamed Prawn Dumpling with Gold Fold! I can say is the best har kow in Singapore. Can't wait to sink my teeth into the fresh prawn again! My favourite is Prawn Dumplings. The freshness and succulent of the Prawn compliments with the Thin crystal skin. It is as though you can taste the sweetness of the prawn swimming in the sea with every bite you chew. I love dim sum! My favourite dim sum is har kow because on the outside, there's this layer of skin while the inside is filled with fresh juicy prawns. So it's like a surprise whenever I take a bite of the har kow. I hope to try the Steamed Prawn Dumpling with Gold Fold because they look so delicate and delicious! I love dim sum! My favourite dim sum is har kow because on the outside, there’s this layer of skin while the inside is filled with fresh juicy prawns. So it’s like a surprise whenever I take a bite of the har kow. I hope to try the Steamed Prawn Dumpling with Gold Fold because they look so delicate and delicious! My fave dim sum is har gow also known as steamed prawn dumplings. I love the flavorful taste of fresh prawns wrapped within the thin translucent skin. Simply delish! My whole family member love dim sum espcially "yu jiao" Deep fried yam with meat inside and dang yuan. Every year I will bring them for dim sum and yu sheng on the ren ri too. Seeing them happy eating I be happy too. My favourite would be the Deep Fried BBQ Meat Puff, yummy and crsipy ! siew mai as the fresh taste of steamed pork in wanton skin is everyone’s favourite! My favourite is char siew pau because upon biting into its soft & fluffy outer skin, the delicious, sweet & savoury meat filling would ooze out, complementing each other in perfect harmony! Cantonese style pan fried carrot cake in XO Sauce is my fave dim sum because it is crispy yet soft and have yummy bits of Chinese sausage. My favourite is Cantonese style pan fried carrot cake in XO Sauce as it's crispy on the outside and tastes real good with the addition of XO sauce. Most favourite dim sum food would most definitely be those custard paus, especially those warm ones. When you take a bite into the pau and then the warm filling explodes into your mouth. The feeling and taste is just heaven on earth. Steamed Prawn Dumpling with Gold Fold is something i want to try because i love prawn dumplings! and now it comes with some high class good fold. omg i really want to see how both complements one another! i love high tea moments! 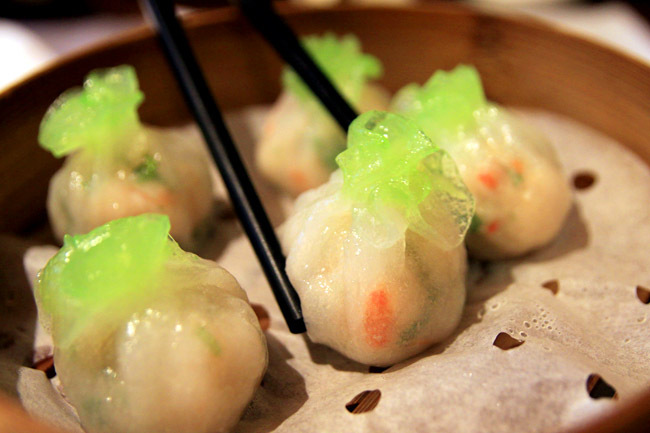 i would love to try out Steam Crystal Dumpling with Minced Prawn and Carrot. it looks so unique and artistic. i guess i would take loads of picture before eating! i can’t live without meat, as a meat lover, i would love to try Deep Fried BBQ Meat Puff! i am salivating just by looking your picture! My fav is definitely Steamed Prawn Dumpling with Gold Foil. The succulent shrimps are not result of soaking the crustacian in baking soda but they are really fresh & plump. “QQ” as my daughter would describe it. Of course, the gold foil does not add to the flavour, which anyway it does not need to, but it certain makes it not only the most delicious “Har Kow”(蝦餃) but the most “atas” (or high class) one in the city-state, and some say JB, Batam and… even HK. Did I mention my daughter can take on 8 in one go? 炸两 (zha liang), the crispy variant of cheong fan flavoured with soy sauce and stuffed with fresh plump shrimps for the varying textures and flavours you get to enjoy in that single bite! 咸蛋奶黄包! love the sensation when the sweet-salty hot filling ooze into my mouth! My favourite dim sum is the Steamed Prawn Dumpling or "har kao". Love those with fresh, big prawns and juicy minced meat wrap in thin, silky smooth skin! Spread a little chilli on it and it's super delicious! Siew mai, because it is deliciously addictive and tastes best when served hot! 炸两！炸两！Why? Because it is smooth and slurpy…and crispy on the inside. Texture is the key! siew mai. soft, delicious and the perfect bite sized dim sum! After all the sinful CNY goodies, the Steamed Crystal Dumpling with Minced Prawn and Carrot would be my favourite since it is cooked using a healthier method. I also like how it is bite-sized yet so chockful of ingredients! Thank you and happy new year! I love Dimsum so much, that I cant describe as well as you.. I only love to eat! My favourite dim sum is Char Siew Soh and Egg Tarts! I like flaky pastry! Dim Sim is all time favorite for my family and one dim sum that we must have on the table each time eating dim sum will be har kow. The Steamed Prawn Dumpling with Gold Fold and Steam Crystal Dumpling with Minced Prawn and Carrot looked impressive, would love to give it a try, and I really wonder how Gold taste like ;P Also since I never been to Si Chuan Dou Hua for Dim Sum , would love to check out the dim sum there! My favourite will be the Cantonese style pan fried carrot cake in XO Sauce…its crispy yet not too oily, and you can taste the generiousity of the carrots at each munch…simply AWSOME! I am a big har kao fan!! I love prawns ! I used to go for dim sum very often in the past.. would love to relive those days with my family again. eileenlim74@gmail.com Happy new year Daniel!! I have to admit that while most dim sum dishes are absolutely delicious, I would pick Custard buns as my favourite any day! Just one bite into SOFT and WARM buns and my mouth is filled with the molten, golden custard that is simply…DIVINE… Be it paired with the flavours of salted egg yolk, mango or the original version, I love them all! I <3 Dim Sum. My favourite is Steamed Prawn Dumpling with Gold Fold. High class har kow. My favourite dim sum is chee chong fun with prawns because the chee ghong fun is silky smooth and I love the sauce which goes with it. Of course, the fresh prawns are important too! Amongst all dim Sum, the Steamed Prawn Dumpling with Gold Fold captures my heart. 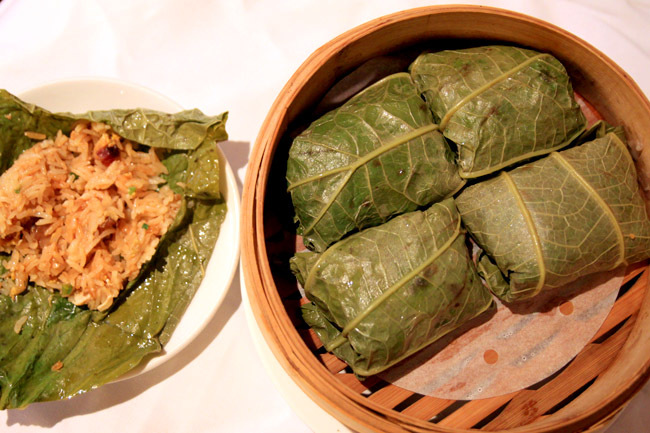 I wish I will get the chance to indulge in this exquisitely and delicately made dim sum which I will thoroughly enjoy. my fav dim sum award goes to Chee Cheong Fun! i can have it anytime, anywhere and for any meal. (even when one is on a diet!) The perfect springy, chewy yet melt in your mouth texture is oh-so-to die-for. And who could resist the perfect combi of sweet char siew or prawns with that savoury sauce. doesn't it just reflect the essence of chinese cooking? My favourite dimsum is the Steamed Prawn Dumpling with Gold Fold. My favourite dimsum is Cantonese style pan fried carrot cake in XO Sauce. My favourite dim sum is har kow! I love the Q-Q skin and juicy prawn! I would like to try Steamed Prawn Dumpling with Gold Fold as it look really delicious hope to win it. I like pan fried carrot cake because it’s crispy on the outside and soft on the inside! It’s very fragrant. 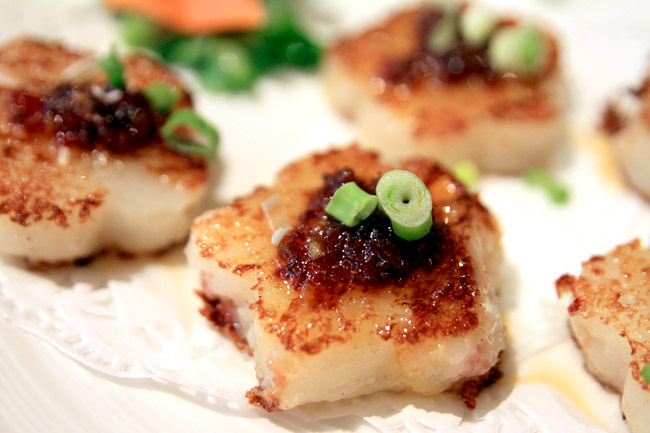 I hope to try the Cantonese style pan fried carrot cake in XO Sauce as mentioned above! My favourite dim sum is Chee Cheong Fan as I love the smooth silky feel of it and it can have fillings like you tiao, char siew or roast duck meat so that I can enjoy the best of both in one meal. Looks so delicious! I would love to try! Thanks for recommending! I love Si Chuan Dou Hua. But haven't tried Tian Fu's tea. Will be nice to bring Nadine and Jolie someday (if they promise not to break any porcelain!) lol. I do love preserved egg congee! I like the Steamed Prawn Dumpling with Gold Fold! Actually I love dim sum which have prawns as ingredients. Looking at the translucent and QQ skin, I can’t wait to check out the ingredients wrapped inside. My favourite dimsum is definitely Steamed Prawn Dumpling (Har Gao)! As much as I love charsiew bao, and egg tarts, my favourite dimsum has got to be Har Gao… Nothing beats a steaming Har Gao with soft crystal dumpling skin, dipped with a little chilli sauce! Liked your facebook page and RT! My favourite dimsum is Har gow! The prawn inside is so so so yummy & fresh. Plus the skin is thin & translucent! 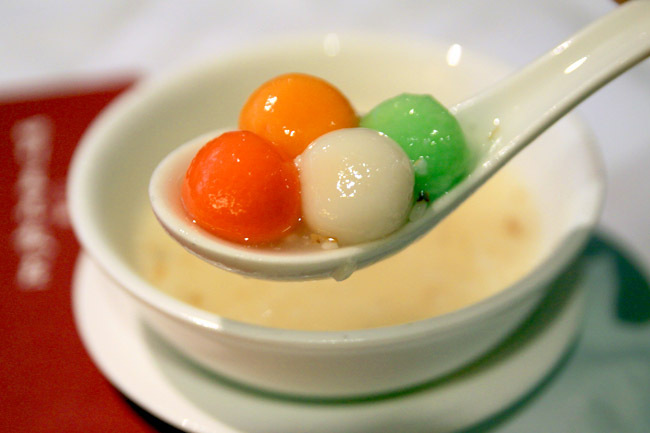 When eaten, OM NOM NOM~ Craving for some har gow now! Congrats to Chen Zhimin, Verlyn Hanru, Pepper Sung, Ben Oh, Jocelyn Oh, Elaine Chang, Cloudywind and Seline Bong. You have each won for yourself a set of Reunion Imperial High Tea from Sichuan Douhua. Gong Xi Gong Xi!